I heartily accept the motto, "That government is best which governs least"; and I should like to see it acted up to more rapidly and systematically. Carried out, it finally amounts to this, which also I believe - "That government is best which governs not at all"; and when men are prepared for it, that will be the kind of government which they will have. Government is at best but an expedient; but most governments are usually, and all governments are sometimes, inexpedient. The objections which have been brought against a standing army, and they are many and weighty, and deserve to prevail, may also at last be brought against a standing government. The standing army is only an arm of the standing government. The government itself, which is only the mode which the people have chosen to execute their will, is equally liable to be abused and perverted before the people can act through it. Witness the present Mexican war, the work of comparatively a few individuals using the standing government as their tool; for, in the outset, the people would not have consented to this measure. This American government - what is it but a tradition, though a recent one, endeavoring to transmit itself unimpaired to posterity, but each instant losing some of its integrity? It has not the vitality and force of a single living man; for a single man can bend it to his will. It is a sort of wooden gun to the people themselves. But it is not the less necessary for this; for the people must have some complicated machinery or other, and hear its din, to satisfy that idea of government which they have. Governments show thus how successfully men can be imposed on, even impose on themselves, for their own advantage. It is excellent, we must all allow. Yet this government never of itself furthered any enterprise, but by the alacrity with which it got out of its way. It does not keep the country free. It does not settle the West. It does not educate. The character inherent in the American people has done all that has been accomplished; and it would have done somewhat more, if the government had not sometimes got in its way. For government is an expedient by which men would fain succeed in letting one another alone; and, as has been said, when it is most expedient, the governed are most let alone by it. Trade and commerce, if they were not made of india-rubber, would never manage to bounce over the obstacles which legislators are continually putting in their way; and, if one were to judge these men wholly by the effects of their actions and not partly by their intentions, they would deserve to be classed and punished with those mischievous persons who put obstructions on the railroads. After all, the practical reason why, when the power is once in the hands of the people, a majority are permitted, and for a long period continue, to rule is not because they are most likely to be in the right, nor because this seems fairest to the minority, but because they are physically the strongest. But a government in which the majority rule in all cases cannot be based on justice, even as far as men understand it. Can there not be a government in which majorities do not virtually decide right and wrong, but conscience? - in which majorities decide only those questions to which the rule of expediency is applicable? Must the citizen ever for a moment, or in the least degree, resign his conscience to the legislation? Why has every man a conscience, then? I think that we should be men first, and subjects afterward. It is not desirable to cultivate a respect for the law, so much as for the right. The only obligation which I have a right to assume is to do at any time what I think right. It is truly enough said that a corporation has no conscience; but a corporation of conscientious men is a corporation with a conscience. Law never made men a whit more just; and, by means of their respect for it, even the well-disposed are daily made the agents of injustice. A common and natural result of an undue respect for law is, that you may see a file of soldiers, colonel, captain, corporal, privates, powder-monkeys, and all, marching in admirable order over hill and dale to the wars, against their wills, ay, against their common sense and consciences, which makes it very steep marching indeed, and produces a palpitation of the heart. They have no doubt that it is a damnable business in which they are concerned; they are all peaceably inclined. Paley, a common authority with many on moral questions, in his chapter on the "Duty of Submission to Civil Government," resolves all civil obligation into expediency; and he proceeds to say that "so long as the interest of the whole society requires it, that is, so long as the established government cannot be resisted or changed without public inconveniency, it is the will of God... that the established government be obeyed - and no longer. This principle being admitted, the justice of every particular case of resistance is reduced to a computation of the quantity of the danger and grievance on the one side, and of the probability and expense of redressing it on the other." Of this, he says, every man shall judge for himself. But Paley appears never to have contemplated those cases to which the rule of expediency does not apply, in which a people, as well as an individual, must do justice, cost what it may. If I have unjustly wrested a plank from a drowning man, I must restore it to him though I drown myself. This, according to Paley, would be inconvenient. But he that would save his life, in such a case, shall lose it. This people must cease to hold slaves, and to make war on Mexico, though it cost them their existence as a people. Practically speaking, the opponents to a reform in Massachusetts are not a hundred thousand politicians at the South, but a hundred thousand merchants and farmers here, who are more interested in commerce and agriculture than they are in humanity, and are not prepared to do justice to the slave and to Mexico, cost what it may. I quarrel not with far-off foes, but with those who, near at home, cooperate with, and do the bidding of those far away, and without whom the latter would be harmless. We are accustomed to say, that the mass of men are unprepared; but improvement is slow, because the few are not materially wiser or better than the many. It is not so important that many should be as good as you, as that there be some absolute goodness somewhere; for that will leaven the whole lump. There are thousands who are in opinion opposed to slavery and to the war, who yet in effect do nothing to put an end to them; who, esteeming themselves children of Washington and Franklin, sit down with their hands in their pockets, and say that they know not what to do, and do nothing; who even postpone the question of freedom to the question of free trade, and quietly read the prices-current along with the latest advices from Mexico, after dinner, and, it may be, fall asleep over them both. What is the price-current of an honest man and patriot today? They hesitate, and they regret, and sometimes they petition; but they do nothing in earnest and with effect. They will wait, well disposed, for others to remedy the evil, that they may no longer have it to regret. At most, they give only a cheap vote, and a feeble countenance and God-speed, to the right, as it goes by them. There are nine hundred and ninety-nine patrons of virtue to one virtuous man. But it is easier to deal with the real possessor of a thing than with the temporary guardian of it. All voting is a sort of gaming, like checkers or backgammon, with a slight moral tinge to it, a playing with right and wrong, with moral questions; and betting naturally accompanies it. The character of the voters is not staked. I cast my vote, perchance, as I think right; but I am not vitally concerned that that right should prevail. I am willing to leave it to the majority. Its obligation, therefore, never exceeds that of expediency. Even voting for the right is doing nothing for it. It is only expressing to men feebly your desire that it should prevail. A wise man will not leave the right to the mercy of chance, nor wish it to prevail through the power of the majority. I hear of a convention to be held at Baltimore, or elsewhere, for the selection of a candidate for the Presidency, made up chiefly of editors, and men who are politicians by profession; but I think, what is it to any independent, intelligent, and respectable man what decision they may come to? Shall we not have the advantage of his wisdom and honesty, nevertheless? Can we not count upon some independent votes? Are there not many individuals in the country who do not attend conventions? But no: I find that the respectable man, so called, has immediately drifted from his position, and despairs of his country, when his country has more reason to despair of him. He forthwith adopts one of the candidates thus selected as the only available one, thus proving that he is himself available for any purposes of the demagogue. His vote is of no more worth than that of any unprincipled foreigner or hireling native, who may have been bought. Oh for a man who is a man, and, as my neighbor says, has a bone in his back which you cannot pass your hand through! Our statistics are at fault: the population has been returned too large. How many men are there to a square thousand miles in this country? Hardly one. Does not America offer any inducement for men to settle here? The American has dwindled into an Odd Fellow - one who may be known by the development of his organ of gregariousness, and a manifest lack of intellect and cheerful self-reliance; whose first and chief concern, on coming into the world, is to see that the almshouses are in good repair; and, before yet he has lawfully donned the virile garb, to collect a fund for the support of the widows and orphans that may be; who, in short, ventures to live only by the aid of the Mutual Insurance company, which has promised to bury him decently. It is not a man's duty, as a matter of course, to devote himself to the eradication of any, even the most enormous, wrong; he may still properly have other concerns to engage him; but it is his duty, at least, to wash his hands of it, and, if he gives it no thought longer, not to give it practically his support. If I devote myself to other pursuits and contemplations, I must first see, at least, that I do not pursue them sitting upon another man's shoulders. I must get off him first, that he may pursue his contemplations too. See what gross inconsistency is tolerated. I have heard some of my townsmen say, "I should like to have them order me out to help put down an insurrection of the slaves, or to march to Mexico; - see if I would go"; and yet these very men have each, directly by their allegiance, and so indirectly, at least, by their money, furnished a substitute. The soldier is applauded who refuses to serve in an unjust war by those who do not refuse to sustain the unjust government which makes the war; is applauded by those whose own act and authority he disregards and sets at naught; as if the state were penitent to that degree that it differed one to scourge it while it sinned, but not to that degree that it left off sinning for a moment. Thus, under the name of Order and Civil Government, we are all made at last to pay homage to and support our own meanness. After the first blush of sin comes its indifference; and from immoral it becomes, as it were, unmoral, and not quite unnecessary to that life which we have made. The broadest and most prevalent error requires the most disinterested virtue to sustain it. The slight reproach to which the virtue of patriotism is commonly liable, the noble are most likely to incur. Those who, while they disapprove of the character and measures of a government, yield to it their allegiance and support are undoubtedly its most conscientious supporters, and so frequently the most serious obstacles to reform. Some are petitioning the State to dissolve the Union, to disregard the requisitions of the President. Why do they not dissolve it themselves - the union between themselves and the State - and refuse to pay their quota into its treasury? Do not they stand in the same relation to the State that the State does to the Union? And have not the same reasons prevented the State from resisting the Union which have prevented them from resisting the State? If the injustice is part of the necessary friction of the machine of government, let it go, let it go: perchance it will wear smooth - certainly the machine will wear out. If the injustice has a spring, or a pulley, or a rope, or a crank, exclusively for itself, then perhaps you may consider whether the remedy will not be worse than the evil; but if it is of such a nature that it requires you to be the agent of injustice to another, then, I say, break the law. Let your life be a counter-friction to stop the machine. What I have to do is to see, at any rate, that I do not lend myself to the wrong which I condemn. As for adopting the ways which the State has provided for remedying the evil, I know not of such ways. They take too much time, and a man's life will be gone. I have other affairs to attend to. I came into this world, not chiefly to make this a good place to live in, but to live in it, be it good or bad. A man has not everything to do, but something; and because he cannot do everything, it is not necessary that he should do something wrong. It is not my business to be petitioning the Governor or the Legislature any more than it is theirs to petition me; and if they should not bear my petition, what should I do then? But in this case the State has provided no way: its very Constitution is the evil. This may seem to be harsh and stubborn and uncounciliatory; but it is to treat with the utmost kindness and consideration the only spirit that can appreciate or deserves it. So is an change for the better, like birth and death, which convulse the body. I do not hesitate to say, that those who call themselves Abolitionists should at once effectually withdraw their support, both in person and property, from the government of Massachusetts, and not wait till they constitute a majority of one, before they suffer the right to prevail through them. I think that it is enough if they have God on their side, without waiting for that other one. Moreover, any man more right than his neighbors constitutes a majority of one already. I meet this American government, or its representative, the State government, directly, and face to face, once a year - no more - in the person of its tax-gatherer; this is the only mode in which a man situated as I am necessarily meets it; and it then says distinctly, Recognize me; and the simplest, the most effectual, and, in the present posture of affairs, the indispensablest mode of treating with it on this head, of expressing your little satisfaction with and love for it, is to deny it then. My civil neighbor, the tax-gatherer, is the very man I have to deal with - for it is, after all, with men and not with parchment that I quarrel - and he has voluntarily chosen to be an agent of the government. How shall he ever know well what he is and does as an officer of the government, or as a man, until he is obliged to consider whether he shall treat me, his neighbor, for whom he has respect, as a neighbor and well-disposed man, or as a maniac and disturber of the peace, and see if he can get over this obstruction to his neighborliness without a ruder and more impetuous thought or speech corresponding with his action. I know this well, that if one thousand, if one hundred, if ten men whom I could name - if ten honest men only - ay, if one HONEST man, in this State of Massachusetts, ceasing to hold slaves, were actually to withdraw from this copartnership, and be locked up in the county jail therefor, it would be the abolition of slavery in America. For it matters not how small the beginning may seem to be: what is once well done is done forever. But we love better to talk about it: that we say is our mission, Reform keeps many scores of newspapers in its service, but not one man. If my esteemed neighbor, the State's ambassador, who will devote his days to the settlement of the question of human rights in the Council Chamber, instead of being threatened with the prisons of Carolina, were to sit down the prisoner of Massachusetts, that State which is so anxious to foist the sin of slavery upon her sister - though at present she can discover only an act of inhospitality to be the ground of a quarrel with her - the Legislature would not wholly waive the subject the following winter. Under a government which imprisons any unjustly, the true place for a just man is also a prison. The proper place today, the only place which Massachusetts has provided for her freer and less desponding spirits, is in her prisons, to be put out and locked out of the State by her own act, as they have already put themselves out by their principles. It is there that the fugitive slave, and the Mexican prisoner on parole, and the Indian come to plead the wrongs of his race should find them; on that separate, but more free and honorable, ground, where the State places those who are not with her, but against her - the only house in a slave State in which a free man can abide with honor. If any think that their influence would be lost there, and their voices no longer afflict the ear of the State, that they would not be as an enemy within its walls, they do not know by how much truth is stronger than error, nor how much more eloquently and effectively he can combat injustice who has experienced a little in his own person. Cast your whole vote, not a strip of paper merely, but your whole influence. A minority is powerless while it conforms to the majority; it is not even a minority then; but it is irresistible when it clogs by its whole weight. If the alternative is to keep all just men in prison, or give up war and slavery, the State will not hesitate which to choose. If a thousand men were not to pay their tax-bills this year, that would not be a violent and bloody measure, as it would be to pay them, and enable the State to commit violence and shed innocent blood. This is, in fact, the definition of a peaceable revolution, if any such is possible. If the tax-gatherer, or any other public officer, asks me, as one has done, "But what shall I do?" my answer is, "If you really wish to do anything, resign your office." When the subject has refused allegiance, and the officer has resigned his office, then the revolution is accomplished. But even suppose blood should flow. Is there not a sort of blood shed when the conscience is wounded? Through this wound a man's real manhood and immortality flow out, and he bleeds to an everlasting death. I see this blood flowing now. I have contemplated the imprisonment of the offender, rather than the seizure of his goods - though both will serve the same purpose - because they who assert the purest right, and consequently are most dangerous to a corrupt State, commonly have not spent much time in accumulating property. To such the State renders comparatively small service, and a slight tax is wont to appear exorbitant, particularly if they are obliged to earn it by special labor with their hands. If there were one who lived wholly without the use of money, the State itself would hesitate to demand it of him. But the rich man - not to make any invidious comparison - is always sold to the institution which makes him rich. Absolutely speaking, the more money, the less virtue; for money comes between a man and his objects, and obtains them for him; and it was certainly no great virtue to obtain it. It puts to rest many questions which he would otherwise be taxed to answer; while the only new question which it puts is the hard but superfluous one, how to spend it. Thus his moral ground is taken from under his feet. The opportunities of living are diminished in proportion as what are called the "means" are increased. The best thing a man can do for his culture when he is rich is to endeavor to carry out those schemes which he entertained when he was poor. Christ answered the Herodians according to their condition. "Show me the tribute-money," said he; - and one took a penny out of his pocket; - if you use money which has the image of Caesar on it, and which he has made current and valuable, that is, if you are men of the State, and gladly enjoy the advantages of Caesar's government, then pay him back some of his own when he demands it. "Render therefore to Caesar that which is Caesar's, and to God those things which are God's" - leaving them no wiser than before as to which was which; for they did not wish to know. But, if I deny the authority of the State when it presents its tax-bill, it will soon take and waste all my property, and so harass me and my children without end. This is hard. This makes it impossible for a man to live honestly, and at the same time comfortably, in outward respects. It will not be worth the while to accumulate property; that would be sure to go again. You must hire or squat somewhere, and raise but a small crop, and eat that soon. You must live within yourself, and depend upon yourself always tucked up and ready for a start, and not have many affairs. A man may grow rich in Turkey even, if he will be in all respects a good subject of the Turkish government. Confucius said: "If a state is governed by the principles of reason, poverty and misery are subjects of shame; if a state is not governed by the principles of reason, riches and honors are the subjects of shame." No: until I want the protection of Massachusetts to be extended to me in some distant Southern port, where my liberty is endangered, or until I am bent solely on building up an estate at home by peaceful enterprise, I can afford to refuse allegiance to Massachusetts, and her right to my property and life. It costs me less in every sense to incur the penalty of disobedience to the State than it would to obey. I should feel as if I were worth less in that case. Some years ago, the State met me in behalf of the Church, and commanded me to pay a certain sum toward the support of a clergyman whose preaching my father attended, but never I myself. "Pay," it said, "or be locked up in the jail." I declined to pay. But, unfortunately, another man saw fit to pay it. I did not see why the schoolmaster should be taxed to support the priest, and not the priest the schoolmaster; for I was not the State's schoolmaster, but I supported myself by voluntary subscription. I did not see why the lyceum should not present its tax-bill, and have the State to back its demand, as well as the Church. 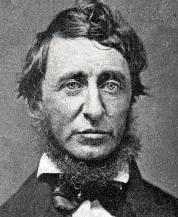 However, at the request of the selectmen, I condescended to make some such statement as this in writing: - "Know all men by these presents, that I, Henry Thoreau, do not wish to be regarded as a member of any incorporated society which I have not joined." This I gave to the town clerk; and he has it. The State, having thus learned that I did not wish to be regarded as a member of that church, has never made a like demand on me since; though it said that it must adhere to its original presumption that time. If I had known how to name them, I should then have signed off in detail from all the societies which I never signed on to; but I did not know where to find a complete list. Thus the State never intentionally confronts a man's sense, intellectual or moral, but only his body, his senses. It is not armed with superior wit or honesty, but with superior physical strength. I was not born to be forced. I will breathe after my own fashion. Let us see who is the strongest. What force has a multitude? They only can force me who obey a higher law than I. They force me to become like themselves. I do not hear of men being forced to have this way or that by masses of men. What sort of life were that to live? When I meet a government which says to me, "Your money or your life," why should I be in haste to give it my money? It may be in a great strait, and not know what to do: I cannot help that. It must help itself; do as I do. It is not worth the while to snivel about it. I am not responsible for the successful working of the machinery of society. I am not the son of the engineer. I perceive that, when an acorn and a chestnut fall side by side, the one does not remain inert to make way for the other, but both obey their own laws, and spring and grow and flourish as best they can, till one, perchance, overshadows and destroys the other. If a plant cannot live according to its nature, it dies; and so a man. The night in prison was novel and interesting enough. The prisoners in their shirt-sleeves were enjoying a chat and the evening air in the doorway, when I entered. But the jailer said, "Come, boys, it is time to lock up"; and so they dispersed, and I heard the sound of their steps returning into the hollow apartments. My room-mate was introduced to me by the jailer as "a first-rate fellow and a clever man." When the door was locked, he showed me where to hang my hat, and how he managed matters there. The rooms were whitewashed once a month; and this one, at least, was the whitest, most simply furnished, and probably the neatest apartment in the town. He naturally wanted to know where I came from, and what brought me there; and, when I had told him, I asked him in my turn how he came there, presuming him to be an honest man, of course; and, as the world goes, I believe he was. "Why," said he, "they accuse me of burning a barn; but I never did it." As near as I could discover, he had probably gone to bed in a barn when drunk, and smoked his pipe there; and so a barn was burnt. He had the reputation of being a clever man, had been there some three months waiting for his trial to come on, and would have to wait as much longer; but he was quite domesticated and contented, since he got his board for nothing, and thought that he was well treated. It was like traveling into a far country, such as I had never expected to behold, to lie there for one night. It seemed to me that I never had heard the town clock strike before, nor the evening sounds of the village; for we slept with the windows open, which were inside the grating. It was to see my native village in the light of the Middle Ages, and our Concord was turned into a Rhine stream, and visions of knights and castles passed before me. They were the voices of old burghers that I heard in the streets. I was an involuntary spectator and auditor of whatever was done and said in the kitchen of the adjacent village inn - a wholly new and rare experience to me. It was a closer view of my native town. I was fairly inside of it. I never had seen its institutions before. This is one of its peculiar institutions; for it is a shire town. I began to comprehend what its inhabitants were about. When I came out of prison - for some one interfered, and paid that tax - I did not perceive that great changes had taken place on the common, such as he observed who went in a youth and merged a tottering and gray-headed man; and yet a change had to my eyes come over the scene - the town, and State, and country - greater than any that mere time could effect. I saw yet more distinctly the State in which I lived. I saw to what extent the people among whom I lived could be trusted as good neighbors and friends; that their friendship was for summer weather only; that they did not greatly propose to do right; that they were a distinct race from me by their prejudices and superstitions, as the Chinamen and Malays are; that in their sacrifices to humanity they ran no risks, not even to their property; that after all they were not so noble but they treated the thief as he had treated them, and hoped, by a certain outward observance and a few prayers, and by walking in a particular straight though useless path from time to time, to save their souls. This may be to judge my neighbors harshly; for I believe that many of them are not aware that they have such an institution as the jail in their village. It was formerly the custom in our village, when a poor debtor came out of jail, for his acquaintances to salute him, looking through their fingers, which were crossed to represent the grating of a jail window, "How do ye do?" My neighbors did not thus salute me, but first looked at me, and then at one another, as if I had returned from a long journey. I was put into jail as I was going to the shoemaker's to get a shoe which was mended. When I was let out the next morning, I proceeded to finish my errand, and, having put on my mended shoe, joined a huckleberry party, who were impatient to put themselves under my conduct; and in half an hour - for the horse was soon tackled - was in the midst of a huckleberry field, on one of our highest hills, two miles off, and then the State was nowhere to be seen. This is the whole history of "My Prisons." I have never declined paying the highway tax, because I am as desirous of being a good neighbor as I am of being a bad subject; and as for supporting schools, I am doing my part to educate my fellow-countrymen now. It is for no particular item in the tax-bill that I refuse to pay it. I simply wish to refuse allegiance to the State, to withdraw and stand aloof from it effectually. I do not care to trace the course of my dollar, if I could, till it buys a man or a musket to shoot one with - the dollar is innocent - but I am concerned to trace the effects of my allegiance. In fact, I quietly declare war with the State, after my fashion, though I will still make what use and get what advantage of her I can, as is usual in such cases. I know that most men think differently from myself; but those whose lives are by profession devoted to the study of these or kindred subjects content me as little as any. Statesmen and legislators, standing so completely within the institution, never distinctly and nakedly behold it. They speak of moving society, but have no resting-place without it. They may be men of a certain experience and discrimination, and have no doubt invented ingenious and even useful systems, for which we sincerely thank them; but all their wit and usefulness lie within certain not very wide limits. They are wont to forget that the world is not governed by policy and expediency. Webster never goes behind government, and so cannot speak with authority about it. His words are wisdom to those legislators who contemplate no essential reform in the existing government; but for thinkers, and those who legislate for all time, he never once glances at the subject. I know of those whose serene and wise speculations on this theme would soon reveal the limits of his mind's range and hospitality. Yet, compared with the cheap professions of most reformers, and the still cheaper wisdom and eloquence of politicians in general, his are almost the only sensible and valuable words, and we thank Heaven for him. Comparatively, he is always strong, original, and, above all, practical. Still, his quality is not wisdom, but prudence. The lawyer's truth is not Truth, but consistency or a consistent expediency. Truth is always in harmony with herself, and is not concerned chiefly to reveal the justice that may consist with wrong-doing. He well deserves to be called, as he has been called, the Defender of the Constitution. There are really no blows to be given by him but defensive ones. He is not a leader, but a follower. His leaders are the men of '87 - "I have never made an effort," he says, "and never propose to make an effort; I have never countenanced an effort, and never mean to countenance an effort, to disturb the arrangement as originally made, by which the various States came into the Union." Still thinking of the sanction which the Constitution gives to slavery, he says, "Because it was a part of the original compact - let it stand." Notwithstanding his special acuteness and ability, he is unable to take a fact out of its merely political relations, and behold it as it lies absolutely to be disposed of by the intellect - what, for instance, it behooves a man to do here in America today with regard to slavery - but ventures, or is driven, to make some such desperate answer as the following, while professing to speak absolutely, and as a private man - from which what new and singular code of social duties might be inferred? "The manner," says he, "in which the governments of those States where slavery exists are to regulate it is for their own consideration, under their responsibility to their constituents, to the general laws of propriety, humanity, and justice, and to God. Associations formed elsewhere, springing from a feeling of humanity, or any other cause, have nothing whatever to do with it. They have never received any encouragement from me, and they never will."